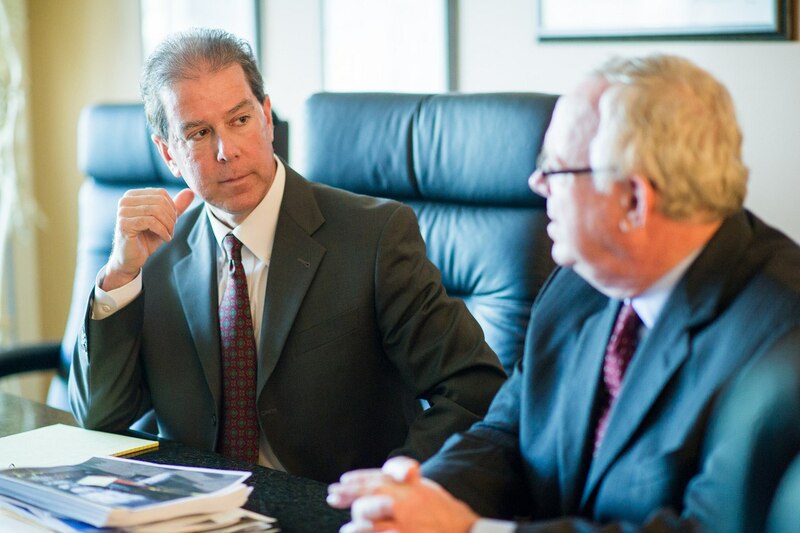 Oftentimes, the big issue in auto accident cases is where the money is going to come from to fully compensate the plaintiff. If the plaintiff’s injuries are significant, the adverse driver’s insurance coverage (if he has coverage) may be inadequate. 1. Fully investigate adverse driver’s coverage. We have made it a practice to research the defendant’s insurance coverage through an outside insurance investigation service. In one of our recent cases, the defense lawyer served interrogatory responses stating that there was $1 million in coverage, and it was only through using an outside service that we discovered that there was also a $4 million umbrella policy (the case ultimately settled for the full $5 million in coverage). That really underscored the danger in trusting what defense counsel is telling you about coverage. Even though the defendant would seem to have every incentive to disclose all of his coverage (and therefore avoid personal liability), it doesn’t always work that way, for whatever reason. In addition to using an outside service, we always ask the defendant to advise us of their policy limits. If the case goes to litigation, then obviously we get that information through Form Interrogatory 4.1. In addition, we serve a special interrogatory that specifically asks about umbrella or excess coverage, since defense attorneys will often not inquire about that. If the defendant’s coverage may not be adequate to cover the plaintiff’s damages (or if the defendant has no coverage at all), then the plaintiff’s lawyer should always inquire whether her client has an auto policy with uninsured/underinsured (UM/UIM) coverage. If the plaintiff’s UM/UIM coverage is inadequate, find out whether he has an umbrella policy. Although most umbrella policies do not cover UM/UIM, some do. Keep in mind that UM/UIM coverage will sometimes apply even if the plaintiff was a pedestrian or was a passenger in someone else’s car. If the adverse driver was in the course and scope of employment, then his or her employer’s coverage will apply (possibly in addition to the driver’s personal coverage). Sometimes there is a factual dispute as to whether the driver was truly in the course and scope. Form Interrogatory No. 2.11 addresses course and scope, but you should not simply accept the defendant’s position on this issue without further investigation and discovery. If someone entrusts his vehicle to another person, knowing that the driver is unfit or incompetent to operate it (e.g., no driver’s license, lots of prior accidents and/or citations, history of drug or alcohol abuse, etc. ), and the driver then causes an accident, the vehicle owner can be held liable. Keep in mind that negligent entrustment is distinct from permissive use. If the vehicle owner is not negligent in entrusting the vehicle, he can be vicariously liable for the driver’s negligence, but only up to a limit of $15,000. See Vehicle Code §17151(a). The starting point in analyzing a possible negligent entrustment claim is running the driving history and criminal history of the adverse driver and investigating the circumstances under which the vehicle came to be entrusted to the driver. Run the driver through the DMV database and also the court records in the county(s) where the driver lives and works. Make sure to determine whether the driver was licensed at the time of the accident because entrusting a vehicle to an unlicensed driver is considered negligent entrustment per se. A negligent entrustment claim may provide a valuable source of recovery if the driver has little or no coverage himself. Always keep your eyes open, when reviewing the police report, inspecting the vehicles, etc., for any defect in the vehicle(s) that either contributed to the crash or made the injuries worse. For example, if the air bags did not deploy and the injuries are serious, we will almost always want to look at whether there might be a design or manufacturing issue with the air bag system. Be on the lookout for any condition of the roadway that might have contributed to the crash. In catastrophic injury cases, it is always a good idea to go out to the scene early on and to calendar the six-month deadline for governmental claims. Dangerous roadway conditions could include (among many other examples): lack of a median barrier or guardrail, inadequate sight distance, chronic flooding of the road, failure to warn of construction activity, a malfunctioning traffic signal, worn striping or inadequate lighting. 7. Liability of adverse driver’s doctor. On rare occasions, when the driver suffers a sudden medical emergency, such as a seizure, the plaintiff’s attorney will want to take a look at whether the driver’s doctor was negligent in failing to report a preexisting medical condition of the driver to the DMV so that the DMV could potentially take away his license. Form Interrogatory No. 2.12 asks about medical conditions that may have contributed to the crash, but you should also request the driver’s pertinent medical records and cover this subject in the driver’s deposition as well. If time permits, before the expiration of the statute of limitations, you should conduct this discovery before bringing in the doctor as a defendant. That way, you have a head start before the doctor’s defense attorney enters the case and starts to try to muddy the waters. 8. Adverse driver’s personal assets. We almost always do at least some basic research regarding the adverse driver’s non-insurance assets (e.g., real property owned). Although attempting to collect someone’s personal assets is fraught with difficulty, it’s good to have this information, for two reasons. First, you want to rule out that the driver is a billionaire. Second, it allows you to have a meaningful conversation with your client about why any attempt to go after the driver’s non-insurance assets is probably not a good idea. Following this checklist in every auto accident case will avoid a lot of pitfalls and will help ensure that your clients obtain the best recovery possible under the circumstances. For more tips and guides for practicing personal injury law in California, see our “Personal Injury Handbook” written by Larry Booth and Roger Booth.